We all have busy lives – rushing through the often un-ending routine of kids, work, house, shopping and all the other tiny jobs that add up to frazzled adults with bad hair and a glass of wine in the hand at the end of the day. Add to this the recent political turmoil in the form of Brexit, worrying about money, the future and all manner of other things and the idea of carving out a slice of time for ourselves seems like some laughable fantasy that only exists in a parallel universe. 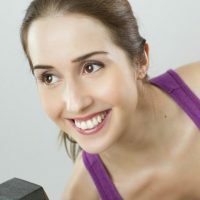 Nowadays ‘free time’ or ‘me time’ has been hijacked by the need to ‘better yourself.’ So there is a pressure to spend any time you have for yourself on learning a new skill or getting something done, on making yourself a better person. What if – and stay with this – what if we spent that rare free hour on doing something frivolous or pleasurable? What if we could shake off the shackles of constant self-improvement and do something just for the sake of doing it? Yes, this revolutionary concept we are talking about is having a hobby. Hobbies receive lot of bad press and people who embrace them are often and unfairly branded ‘sad’ or ‘nerdy’. The very word ‘hobby’ conjures up images of men in anoraks standing on a train platforms or lines of tea-drinking grannies knitting scarves and booties. After all, why play Dungeons and Dragons if you could go for a jog, go on a course, sort out the attic or simply get the kids to piano/ballet/football/karate on time? However, having a hobby is a real quirk of humankind – doing something just for the sake of doing it. There’s not really an end result to trainspotting or knitting (apart from a jumper with too-long sleeves maybe). But perhaps that’s the point – doing something just for the sake of doing it can be incredibly soothing to a frenetic life. What’s not to like? Collecting toy frogs, re-creating the Eiffel Tower out of matchsticks or re-enacting medieval battles in a muddy field may seem crazy, but what if those people have discovered the ultimate secret of relaxation? There maybe someone in your immediate vicinity who spends a serious amount of cash on their hobby, where the thrill for them is buying all the expensive kit to go with their penchant for paragliding/mobile discos/brewing homebrew beer or mountain biking (see Dad Fad). However, hobbies don’t have to be expensive. Some are completely free. Here’s a list of our favourite free (or very cheap hobbies for women). Go on, get stuck in and give yourself a break from your busy life and the madness of the world outside by doing something pointless, fun, or outright silly. You won’t regret it. Knitting and sewing are enjoying a resurgence in the UK, particularly among young people. The repetitive nature of it, as well as creating something seems to be the attraction. The UK Hand Knitting Association estimates around 7 million women in the UK have an interest in knitting or sewing. All you need is wool, needles, a pattern, a comfy chair and a cuppa. Sites such as Minerva Crafts offer a selection of sewing, knitting and other craft supplies to tempt even the most demanding crafter! You’ll be amazed at how relaxed you feel after an hour’s knitting or sewing. Here are our top favourite knitting books for beginners on Amazon. Get your hands dirty, plant beautiful flowers or grow a herb garden – gardening is one of the most relaxing and healthy hobbies there is. You can get quality bedding plants, shrubs and bulbs delivered directly to your door to get you started from sites such as Gardening Direct, Garden Express and Jersey Plants. Even if you don’t have a garden you can plant window boxes or put your name down for an allotment and grow your own prize marrows. Find out more at the National Allotment Society. Watching and spotting birds can be mesmerising and can turn the busiest of brains down to zero. For twitchers – an hour crouching in a hide can be the same as relaxing in a spa all day. Birds just seem to have that quality of being able to relax humans. Even just watching birds in the local park can be rewarding. Get yourself a RSPB Handbook of Birds, a decent pair of Bird Watching Binoculars and find out more at the RSPB. From Elvis memorabilia, porcelain dolls to old coins or vintage postcards, starting a collection may seem weird to some. But sourcing items, joining forums with other collectors, methodically acquiring and displaying your finds can be strangely satisfying. So choose an item you love – it could be anything – and start collecting more of it. Just for the sake of it. 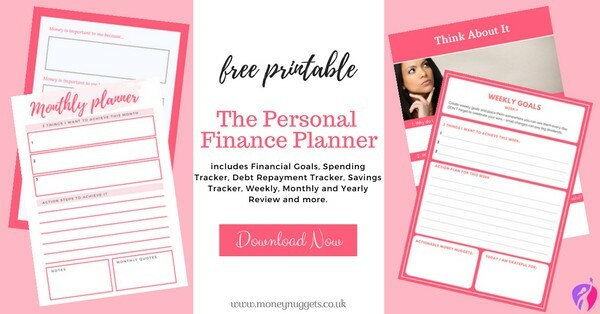 Download our FREE personal financial planner to help you track and achieve your financial goals..
Rambling across fields with a group of other people is a simple activity which can help with stress and anxiety while also increasing fitness. Or get the family out and about on a modern day treasure hunt to find ‘caches’ of hidden goodies. Find out more at Geocaching. Or you could try your hand at metal detecting, you can pay around £35 for a beginner’s metal detector – go scour the countryside, you may discover the next Medieval hoard! There’s something wonderful about stirring a risotto or jarring up your own chutney or jam. It’s the ultimate brain switch off and you get something delicious at the end. There are numerous resources online but BBC Good Food is a great place to start learning new food skills and Simply Cook for quick and easy to follow recipes. You can also invest in a great cookbook like The Ultimate Home Cooking by Gordon Ramsay. Entering competitions is now a massive deal in the UK. There is a thriving online community of compers who swap tips and share news of wins. And your new hobby may result in a holiday, new car or spa day. You don’t have to enter expensive TV phone-ins, often all you need is the price of a stamp and an Internet connection. Find out more at Money Saving Expert’s compers forum. Discovering your family’s history is a great way to spend some free time as well as leaving something wonderful for future generations. Putting the puzzle together is extremely rewarding and can help you focus your brain. You may have to pay a small fee to join an archive site such as Ancestry.co.uk or findmypast.co.uk but it’s so worth it. Often find yourself staring at the stars and wondering what they are called? Try astronomy – ok it might involve forking out for a decent telescope but star-gazing can be a soothing balm for an over-busy life. Find out more at the British Astronomical Society. Switch off your phones and screens, get some friends round, drink some beer (preferably home-brewed by a fellow hobbier to save cash) and play a board game. In a world where we are constantly connected, board games are being dragged out of the back of dusty sideboards up and down the country as an antidote. Whether it’s Risk, Monopoly, Pictionary or Snakes and Ladders, board-gaming is a great way to have fun with friends that doesn’t involve awkward small talk or technology. Just don’t storm out when you don’t win. Two of our favourite board games are the Monopoly Game Cheaters Edition Board Game and the Monopoly E6603102 Fortnite Edition Board Game. If none of these hobbies appeal you could always collect belly button fluff – yes, this is a thing. Someone has done it. Not our cup of tea but, hey, whatever floats your boat. Remember, hobbies can be anything you choose as a way to have fun and switch off. Do you have a hobby? What are your favourite fun and interesting hobbies for women? What things do you do instead of spending money? Share it with us we would love to hear from you. 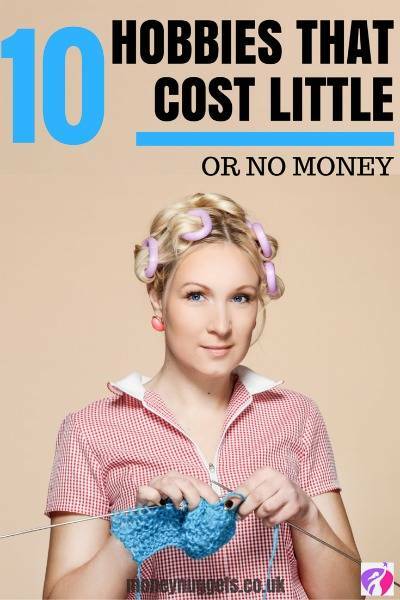 Knitting, crochet and sewing do not cost little or no money! There’s always more yarn, tools or fabric to buy! I crochet all of the time, it helps me relax but i only use recycled yarn. Family and friends donate old jumpers which I unravel and reuse. Crochet also helps me keep my arthritic fingers moving. Wonderful! Thank you for sharing these useful tips. Hobbies are great well t attain work life balance and relieve stress. I find sewing and kneading very therapeutic.